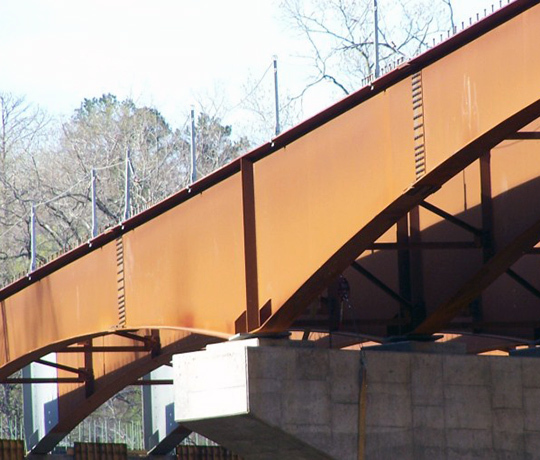 With over 150 years of steel fabrication experience, Stupp Bridge Company, A Division of Stupp Bros., Inc. is a leader in steel fabrication. 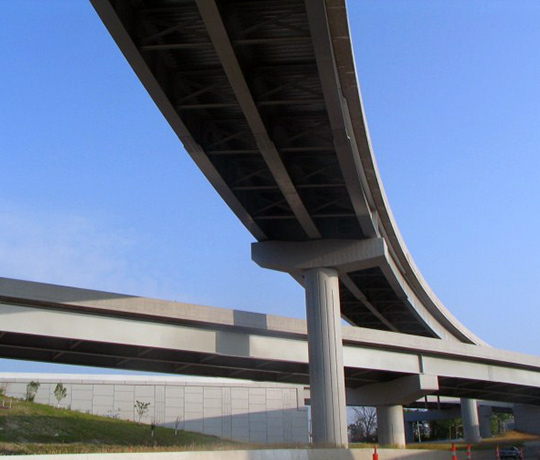 Headquartered in St. Louis, Missouri, Stupp Bridge Company is family-owned (6th generation), and its primary focus is on plate girder fabrication for bridges and buildings. 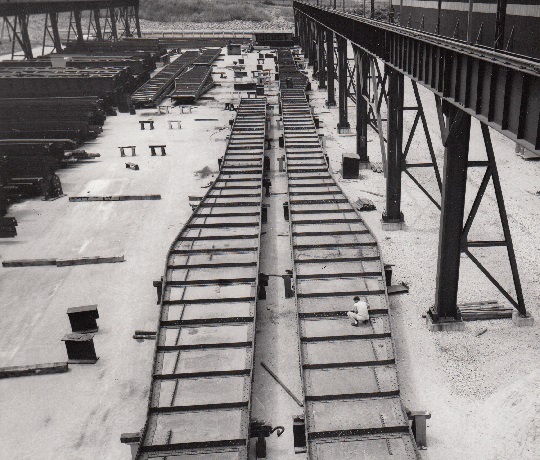 Stupp Bridge Company’s fabrication facility in Bowling Green, Kentucky, opened in 1999 and is among the most efficient in existence. 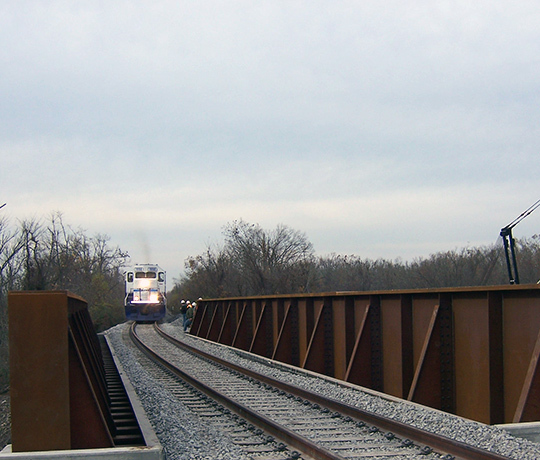 Stupp Bridge Company’s commitment to quality and focus on customer needs make Stupp Bridge Company a valuable partner for any project. Whether a job is a fast-track design-build, or a traditional design/bid/build, Stupp Bridge Company’s Sales and Project Management Team works with the customer to get projects done on time and at a fair price. In 1856, John Stupp established the South St. Louis Iron Works to market the skills he learned as an apprentice in Europe. He founded the company on the basic principles of CRAFTSMANSHIP, QUALITY, SERVICE, and INTEGRITY- principles that still hold true today. 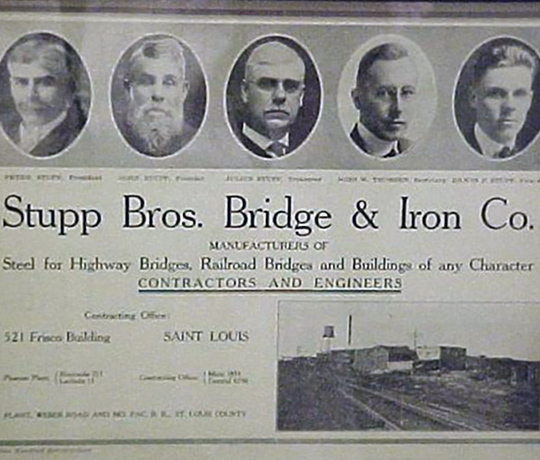 With the rapid growth and the addition of John’s sons, the company was incorporated under the name of Stupp Bros. Bridge & Iron Company. 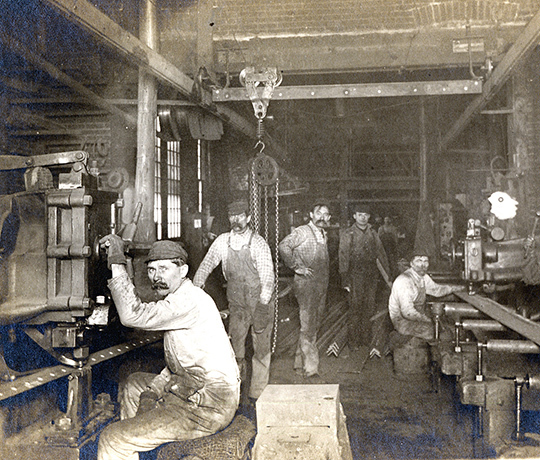 If it was made from iron or steel, Stupp Bros. made it- boilers, ornamental iron, lathes, and during times of war, numerous items to assist our country to victory. The Stupp name can be seen on buildings, factories, and bridges all across the country. THE BEST BRIDGES ARE STUPP-BUILT! A Division of Stupp Bros., Inc.